Searching for facial hair removal Jacksonville? Then look no further than the Burgess Center for Cosmetic Dentistry. We offer a proven method of removing unwanted facial hair called "facial threading". This cosmetic technique has been practiced in Southeast Asia and the Middle East for centuries. Although special tools exist for today's technician, the procedure can still be accomplished using a cotton thread. The thread is twisted and then pulled along the skin's surface lifting unwanted hair directly from the hair follicle. If you have sensitive skin, threading is the perfect facial hair removal alternative to waxing, depilatory creams, tweezing or laser hair removal. Facial threading removes the complete hair without the risk of skin irritation or pigmentation damage. Today, one of the most common cosmetic complaints is unwanted hair. Unlike waxing or using depilatories, threading does not remove the outer layers of facial skin. In addition, many aestheticians consider facial threading to be a much better solution for women than shaving or bleaching unsightly facial hairs. Basically, threading is a temporary hair removal solution but, depending upon how quickly your hair grows, the long-term results of facial threading can be quite good as the hair's root is slightly damaged which often slows the rate of new hair growth. 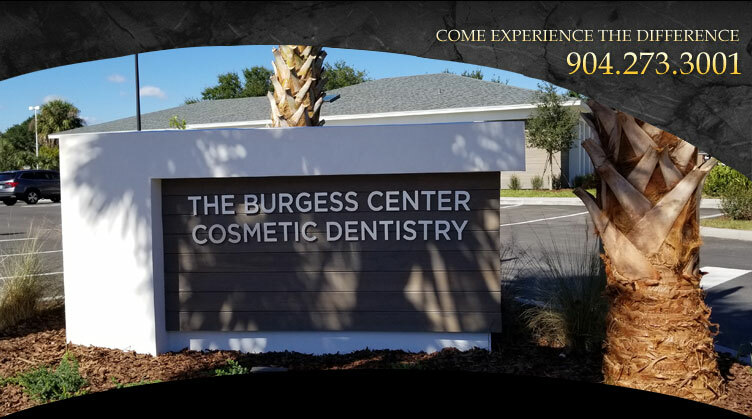 To learn more about threading and facial hair removal in Jacksonville, contact the Burgess Center for Cosmetic Dentistry at (904) 273-3001.